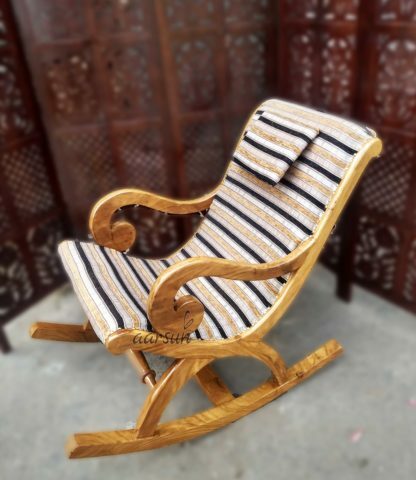 Handcrafted by experienced artisans in premium quality Teak Wood. 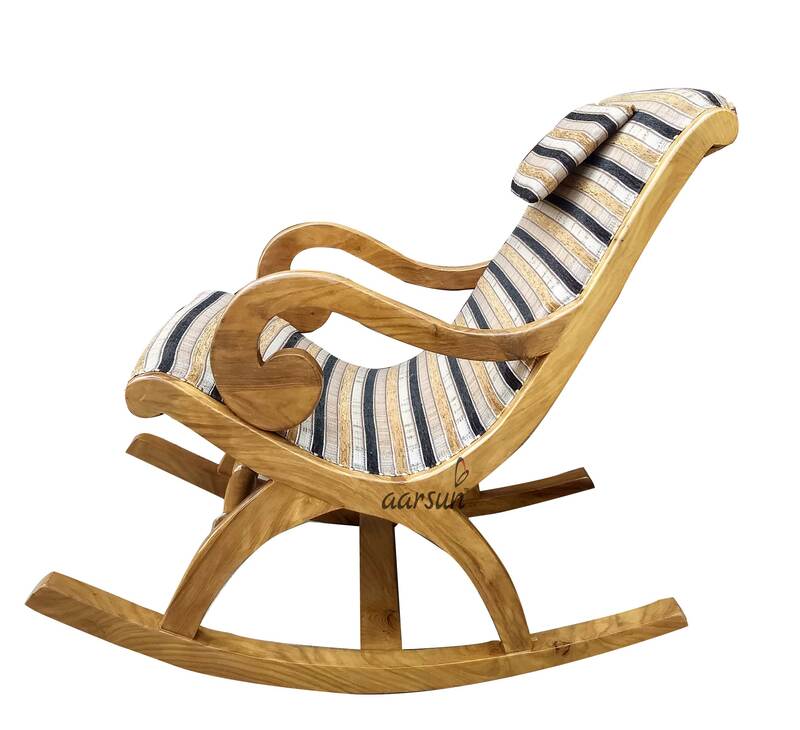 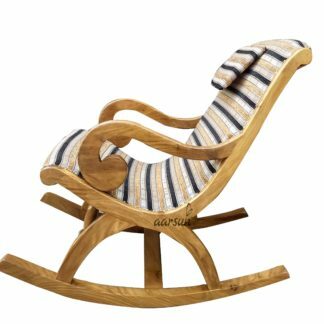 Sleek and Stylish, the rocking chair feels urban despite handmade without any advance machinery. Fabric of Your Choice, giving you total control of the look and feel of the product. 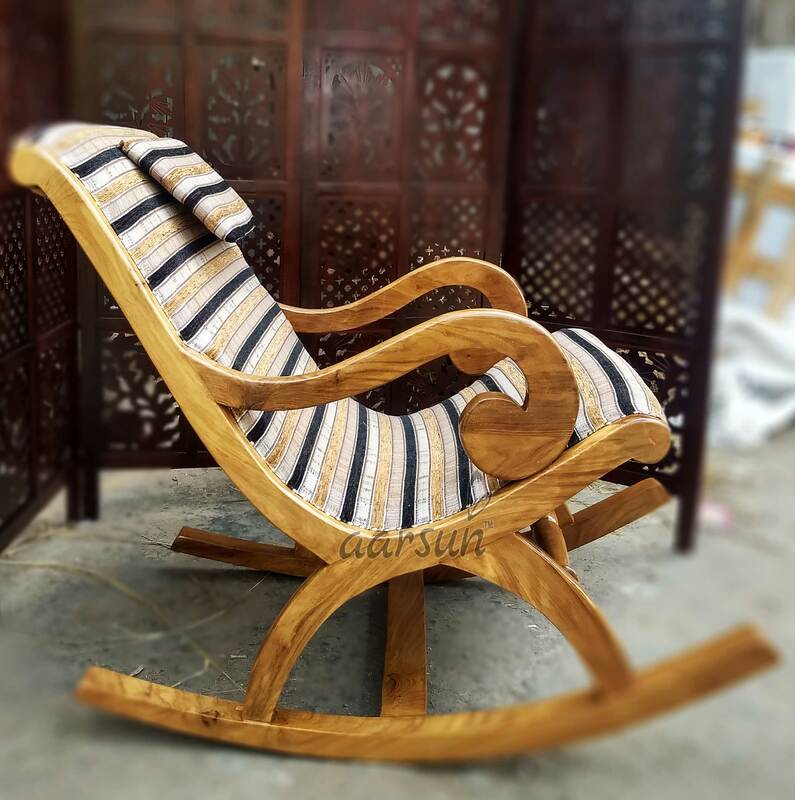 Your Product According to Your Place delivered right at your doorstep.